When you are the owner of a crossbow you might be under the impression that as long as the bolt you purchase is long enough that is all you need. That could not be further from the truth. When looking for the best crossbow bolts for you, you need to make sure you are picking a bolt built for your intended purpose. Select a bolt that offers you a sturdy, durable, and accurate design. Bolts and arrows by TenPoint, Parker, and Black Eagle offer quality carbon crossbow bolts and arrows that ensure you hit the mark every time. Before making your purchase, check out the specs on a few types of bolts to get the best one for your crossbow. 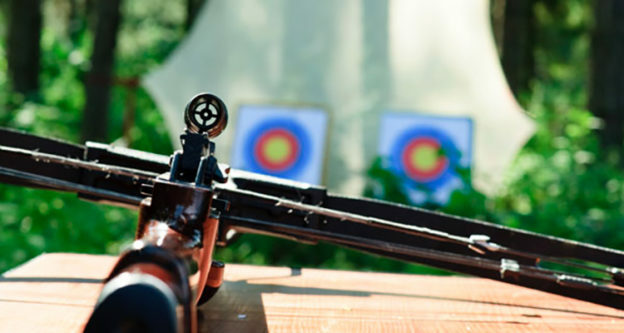 Do not jump into the purchase of new crossbow bolts or arrows without checking out what different manufacturers offer. We have compiled a list of five of the best bolts and arrows on the market. 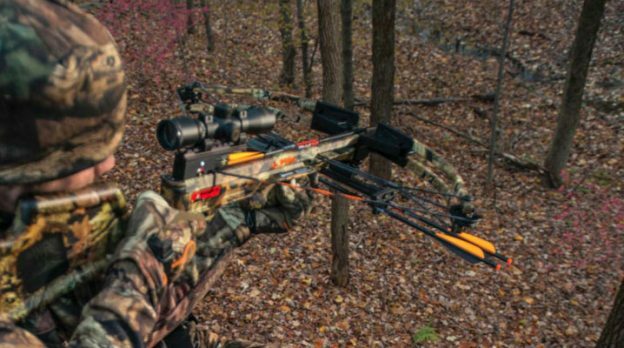 Users of the TenPoint Pro Elite Carbon crossbow arrows rave about the durability and design. Even when shot and a miss, this arrow stands up to hitting things other than the desired target. The Pro Elite is a 20 inch carbon fiber arrow that helps the crossbow user hit their mark with a mixture of speed and accuracy. These arrows come with TenPoint neon Yellow Omni-nock and a 68-grain brass insert. You will find the fletching is slightly offset on this arrow. The Pro Elite has 3-inch Fusion shield cut Q21 vanes. 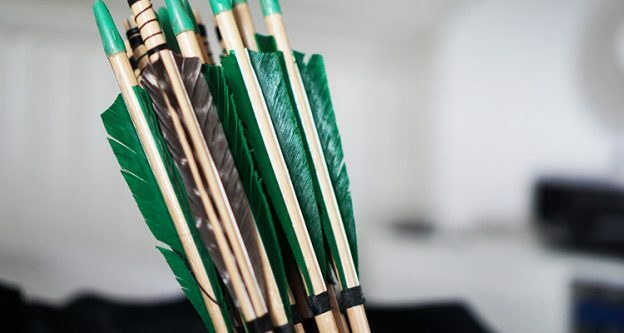 All aspects to these arrows make it among the best bolts available. When Parker decided to make their Red Hot high velocity carbon arrows they created an arrow that hits the mark dead center! The use of the word velocity in the name of this arrow is no fluke. These arrows work incredibly well with crossbows having an FPS of 300 or higher. They run 20” in length and use built-in weight forward technology. User reviews state the Parker Red Hot arrows are incredibly accurate and work well at hit living and stationery targets. They also stand up to repeated use in some cases with minimal to no damage to the arrow. The name Black Eagle is always heard when looking at the bolts on the market. Like many of their arrows and bolts the Black Eagle Executioner crossbow fletched carbon arrows/bolts are designed for accuracy. The Executioner is a carbon arrow for crossbow that provides the user with speed, superior performance, and incredible accuracy. The Executioner has a brass insert which helps assist in optimal accuracy and thus prevents loss of kinetic energy and speed. Users praise the fletched arrows that come with 2” Blazer Vanes on both the 16” and 18” versions. The Executioner also comes with pressed fit half-moon and flat nocks. 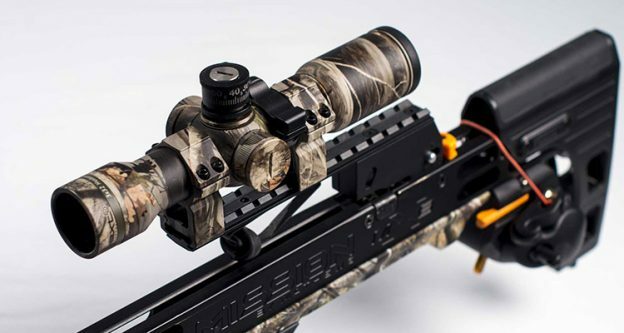 Viare has created a carbon crossbow bolt with the hunter and target shooter in mind. The lightweight carbon shafts boast a wall thickness that aids in the durability of these bolts. They are 20” in length, weigh 13.78 grains per inch with a broadhead weight of 125 grains. These Viare carbon crossbow bolts have a design that features removable tips which allows for the attachment of broadheads. Users applaud the lightweight and durable construction that provides a high accuracy rate as well as excellent target penetration. These bolts work well for the individual who enjoys target practice as well as hunting with a crossbow. Carbon Express knew the needs of its users and gave them what they were after when they produced the Maxima Blue Streak fletched carbon crossbolt. The Maxima Blue Streak is made with 100% carbon construction. It features BuffTuff exterior coupled with an insert that is precision-milled to assist in its consistency and strength. Users commend the Maxima’s 100 grain field point, moon nocks and Lazer Eye lighted nocks. Users were also impressed with the ability to accurately hit targets that are both in close range or a significant distance. These are crossbolts with great construction, durability, that offer tremendous speed and accurate trajectory when used properly and with the correct crossbow. If you are an avid crossbow user and have struggled to find the best crossbow bolts or bows those listed above are among the best the market has to offer. From the TenPoint, to the Black Eagle, to the Carbon Express, bolt and arrow manufacturing continue to improve on the standard arrow. Carbon shafts and weighted technology are only two of the ways bolt manufacturers are producing a product that is fast, accurate, and highly durable. 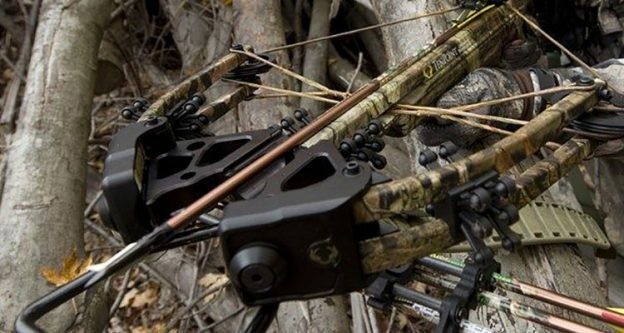 A quality carbon with high performance vanes, coupled with the right field tip or broadhead can help insure a shooter’s accuracy whether they are looking to take down a prize animal or shooting at targets.